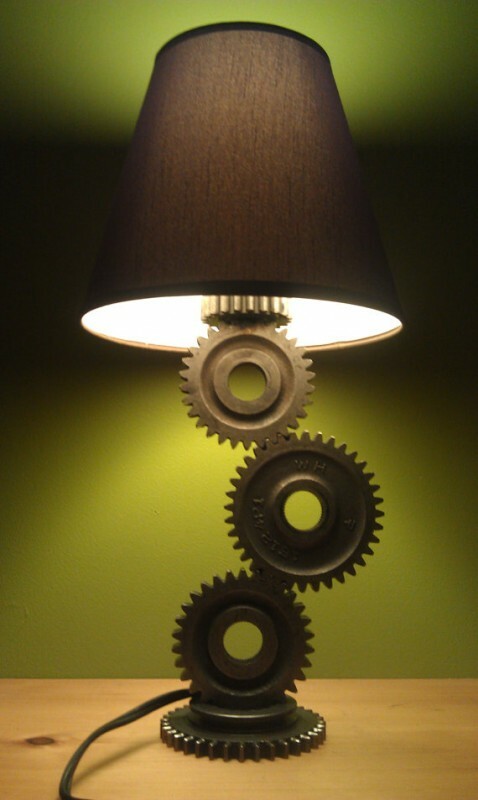 The “Gear Lamp” is an Industrial Table Lamp with a Steampunk Design. 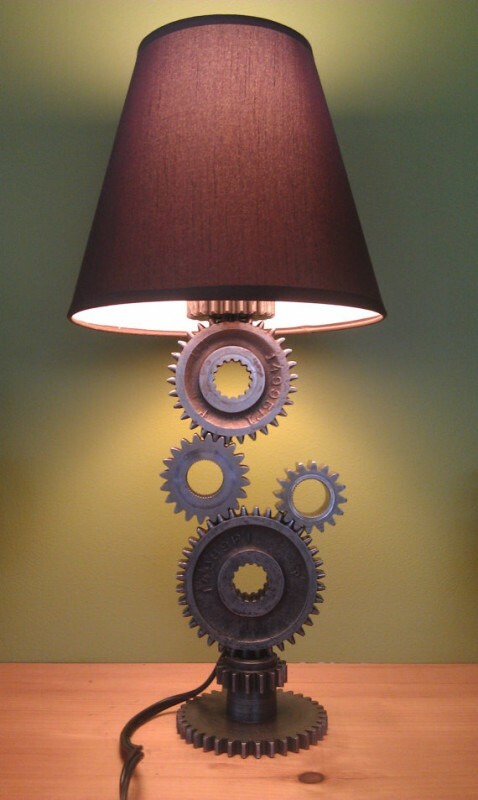 The lamp is created from used gears that supplied power thru a transmission gearbox. The gears are in their unfinished original condition. 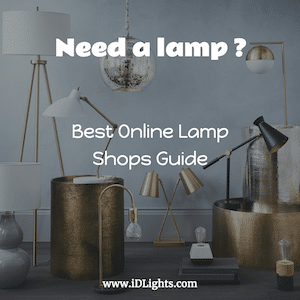 Gear lamps can be made to any of the combinations in the pictures shown. Une lampe pour un style industriel j’adore belle réalisation!! !